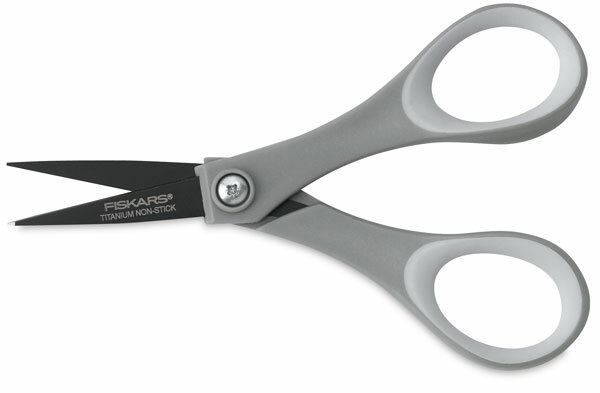 Fiskars Performance Softgrip Titanium Scissors feature precision-ground stainless steel blades with a titanium coating for long-lasting sharpness. The durable coating also helps resist scratches and corrosion. The contoured, comfortable Softgrip handles are designed to better fit your hand and reduce fatigue, ideal for extended cutting sessions. 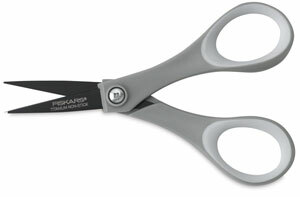 With their non-stick coating, the 5" Detail Scissors are great for cutting tape and other adhesive materials. The 8" All-Purpose Scissors are perfect for general use in the studio and at home. Backed by a manufacturer's lifetime warranty.